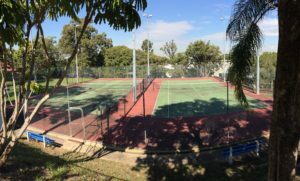 Located at Moorooka State School, these 2 courts are the perfect spot to get out on the court, day or night! Rob Da Cunha and his team deliver tennis programs and bookings throughout Moorooka at Moorooka State School. Meet our passionate and dedicated team of coaches at Rise Tennis Moorooka.